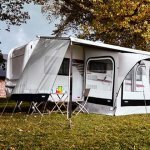 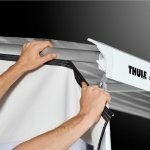 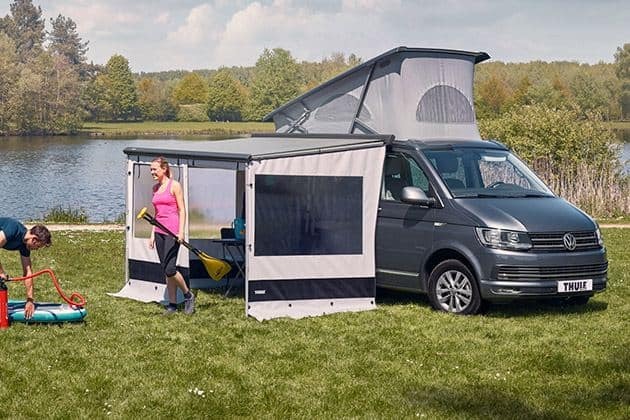 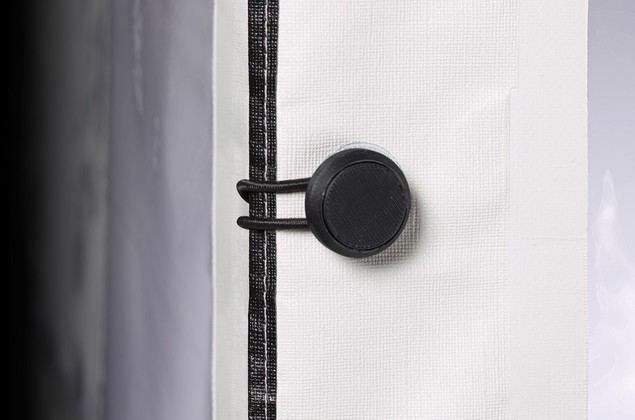 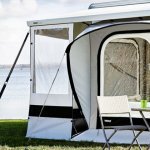 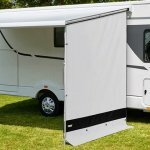 Thule G2 Rain Blocker Sides available for different awnings, depending on projection and mounting height. 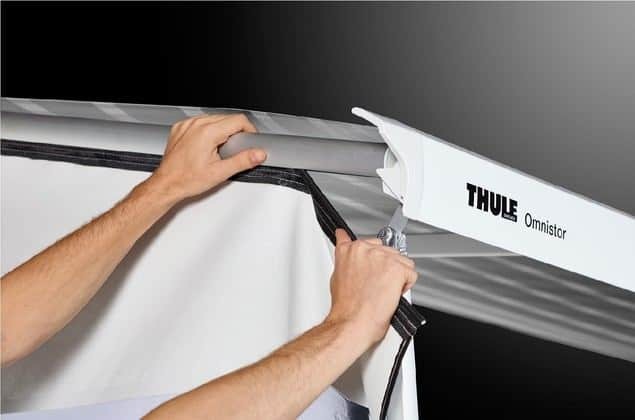 The side panel slides into the easy to install aluminium rafter between awning box and lead rail. 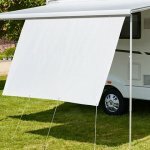 Installed on both sides of the awning, the panel is universal. 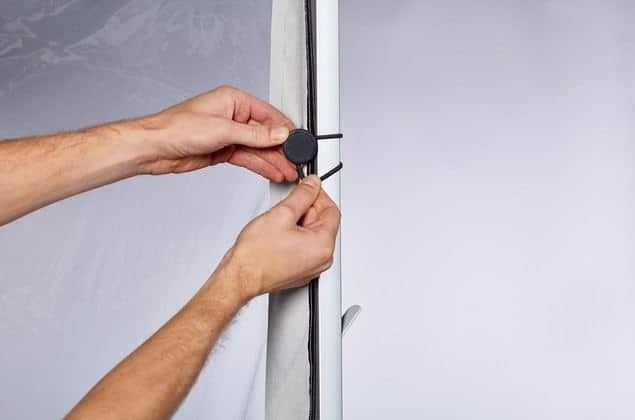 Many possibilities to combine other panels. 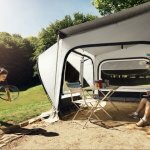 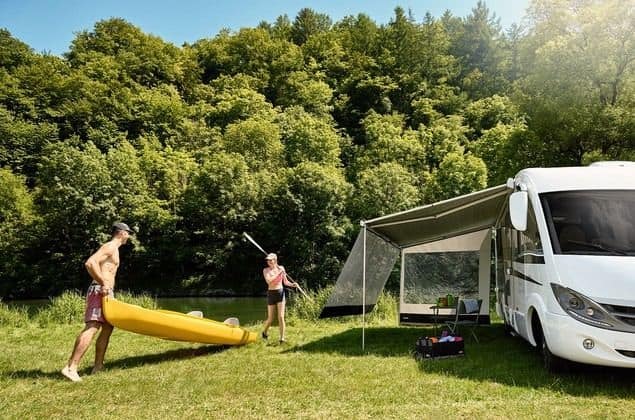 The combination of a panel with the Thule QuickFit or Thule EasyLink tent is possible. 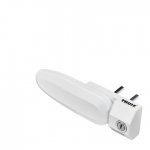 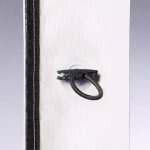 The Rain Blocker G2 panels can be combined with smart connections. 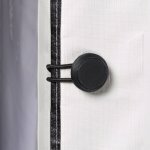 Durable fabric material: top quality PVC.